Key Difference: Surname is the family name that that one shares with other family members. This name is passed from one generation to the other. On the other hand, maiden name refers to surname of a woman that she held prior to her wedding. 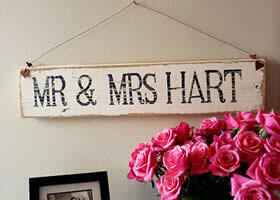 Generally, Women change their surname after marriage and keep it same as the husband’s surname. Surname and maiden name have a close connection with each other. Maiden name is also a surname but is associated with a married woman. Oxford Dictionary defines Maiden Name as ‘the surname that a married woman used before she was married and which she may still use when married, especially in her employment’. To find out the difference between these terms, let us first understand the term surname. A surname is a family name that a person shares with other family members. It is a part of personal name and thus is very important in one’s identity. A surname is that part of your name which is common among your family members. For example, a son and a father share the same surname. Surnames pass from one generation to the other, thus they are constant terms. Let us consider an example: - a boy is named as John Lewis, his father’s name is Kevin Lewis and his grandfather’s name is Joy Lewis. Now, can you see the common term between all three names? The common name is Lewis, it got transferred from Joy to Kevin and then Kevin to John. Therefore, it is also termed as the family name. This kind of transfer of surname is known as petrilineal, as the surnames descended through the male line. Another kind of transfer of surname is known as matrilineal where the child takes the surname of the mother rather than the father. On the other hand, maiden name refers to surname of a woman prior to her marriage. The important condition in the definition of maiden term is – ‘prior to her marriage.’ This condition is essential as most of the women change their surname after getting married and the surname of husband is used as the surname. However, this may not be the case with every woman. Many women choose to stick to their maiden name. The Khasi women of north-eastern India keep their maiden name even after the marriage and pass them to the next generation. Most of the countries define a legal process of adopting the surname of husband after the wedding. This is mandatory, as the change may affect one’s documents with previous surname. Thus, it is important to have legal papers to indicate the change in surname after the wedding for the women, if she intends to change her surname. The obvious difference between them is that everyone has a surname; it does not have any relation with the marriage. On the other hand, maiden name is only associated with married woman, and it refers to her surname prior to the marriage. These surnames are very important because their usage reflect in almost every official document related to a person. Thus, we can conclude that surname and maiden name have the same characteristics as the maiden name is also a surname. 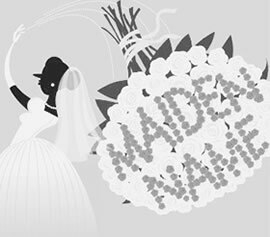 The only difference between a maiden name and surname is that the maiden name is only used in context to married women, and refers to her surname that she used before getting married. This is up to her will to use the same surname after marriage or use husband’s surname later. For changing the surname one must need to carry out the necessary legal steps and then only one can use the changed surname for official purposes.